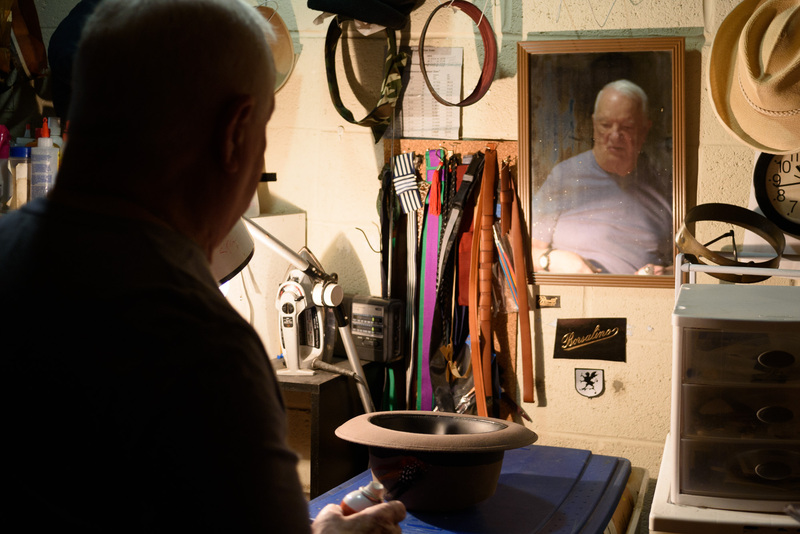 Vince Corvelli is keeping felt hat tradition alive; It’s keeping him alive too. 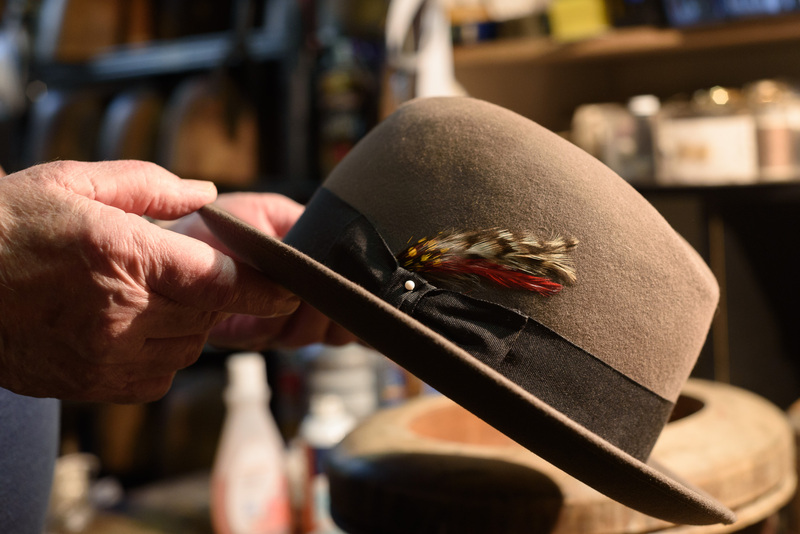 Corvelli has been working on hats since he was 12. He turns 90 next year. He says being a hatter keeps him alive, and healthy. 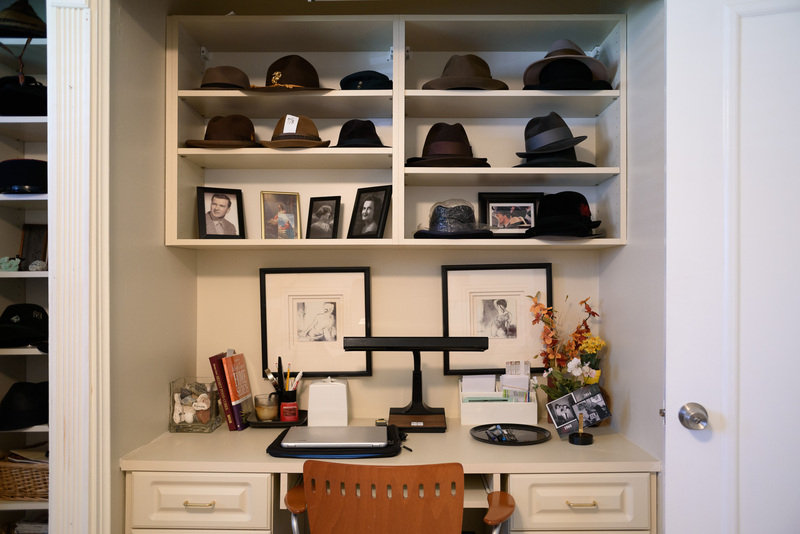 Though his generation’s expression of personal style is long gone, a marginal resurgence of Fedoras, Trilbys and Stingy brims like Brad Pitt used to wear begs his knowledge of what once was an essential of every man’s wardrobe. He takes customers by appointment. Some have been with him for 40 years. Lack of sophistication does not offend him, and he is happy to instruct novice hat owners. 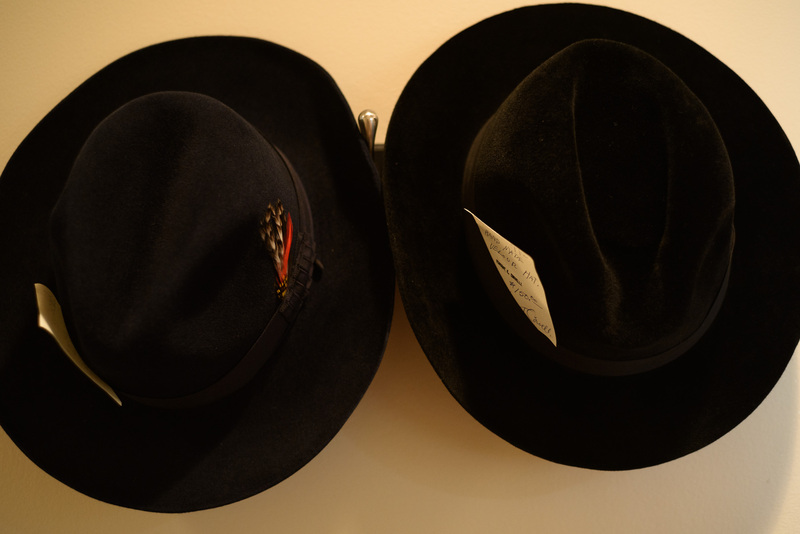 That impulse to grab a felt Fedora by the pinch in its crown, like in the movies? Don’t do it. During one of District Dig’s visits to his studio, Corvelli demonstrates proper handling: Hold the front and back of the brim with your fingertips near the base of the crown and fit snugly on your head, about a finger’s width above the ears. Depending on your preference, snap the brim down in front, ear to ear. When not wearing the hat, rest it on its crown, so the brim does not flatten out. Show the hat respect, and it will bring you respect. Never handle a felt hat by its crown. Always hold it by the brim. Corvelli is the last of his breed, and he has no intention of hanging it up. 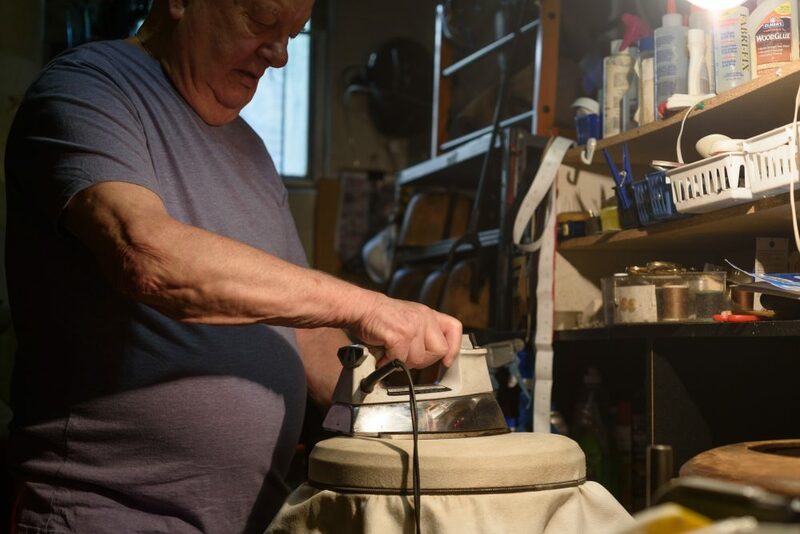 What drives a man to plie a dying craft in a trade that has been in and (mostly) out of style for 70 years? 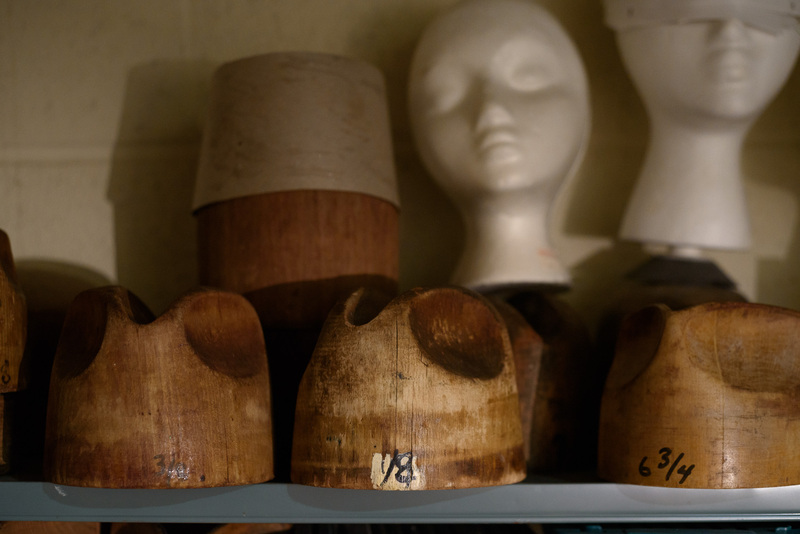 Corvelli’s work as a hatter is rooted in family tradition, but there’s more to it than that. Corvelli’s grandfather, Vincent, for whom he is named, came to the United States in the early 1900s from Naples, where he had worked at the Borsalino Hat Company, makers of the finest felt hats in the world. His father, Nicholas, arrived in 1917. Corvelli and his three siblings came later. When he was old enough, Corvelli went to work at his grandfather’s valet shop, Golden Star Valet, in Northwest D.C., in the 1930s. “It was a little bit of everything that a man would wear,” he says. 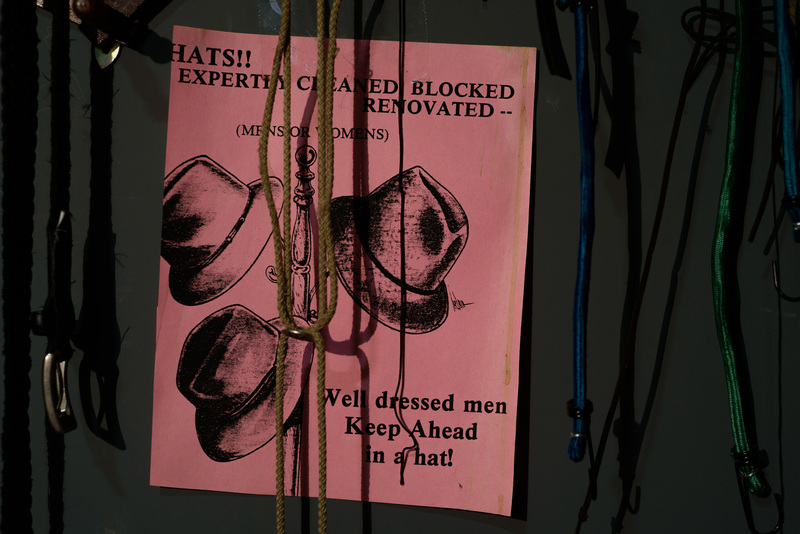 Hats required special care. Greasy hair products such as pomade or vaseline joined with sweat and caused stains around the hat band. That required a solvent, sometimes gasoline, before the felt was dampened. Then the hat was placed in a contraption that spun it until it was “damp dry,” then into a “hot box,” to steam dry. “It was very technical,” says Corvelli. Hat blocking is an artisanal skill. Wood hat blocks generally are made of poplar, because it’s light and absorbs moisture. 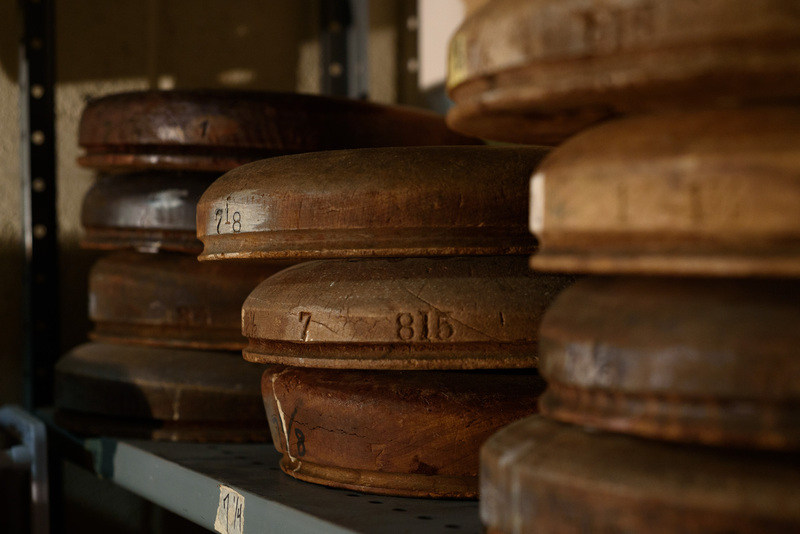 Some are flat on top, and some have an indentation or a raised edge running front to back. 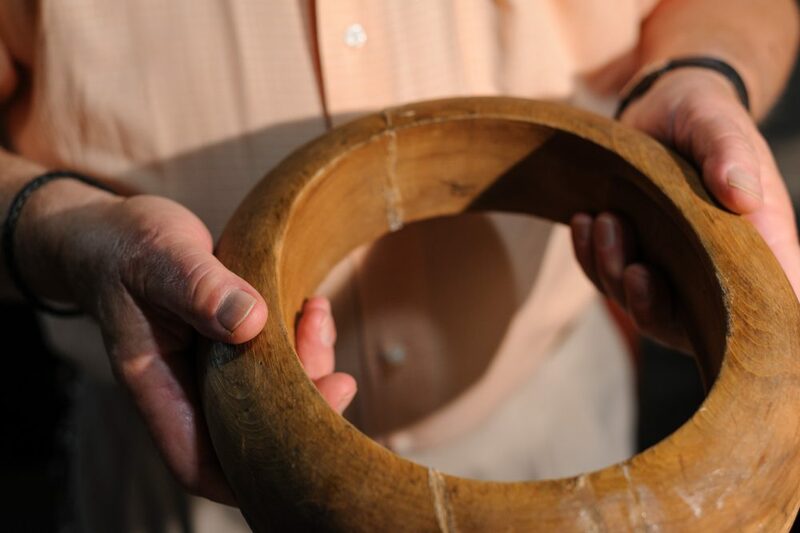 Some are tapered, or allow for a pinch in the crown. 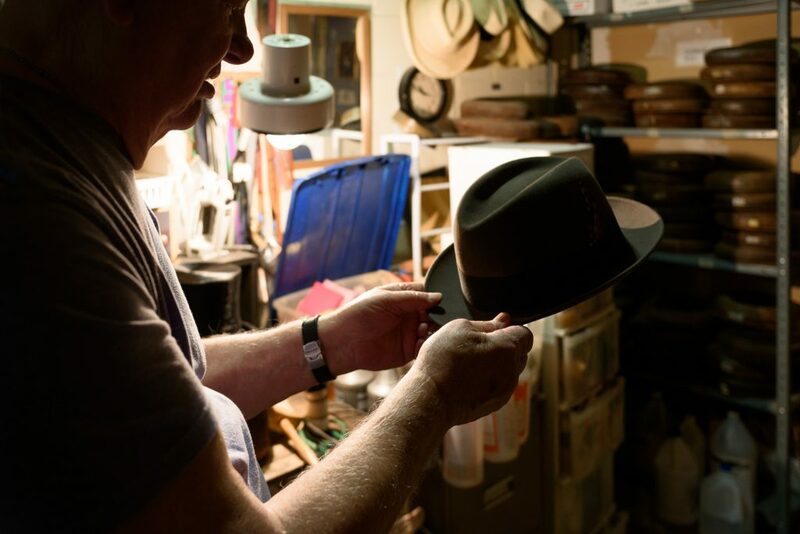 The hatter sets the hat on the appropriate wooden block according to its size, contour and shape, dampens the felt, steams it, smooths out the bumps, then lets it air dry. “Once they dry they stay that way, so you have to be careful,” Corvelli says. 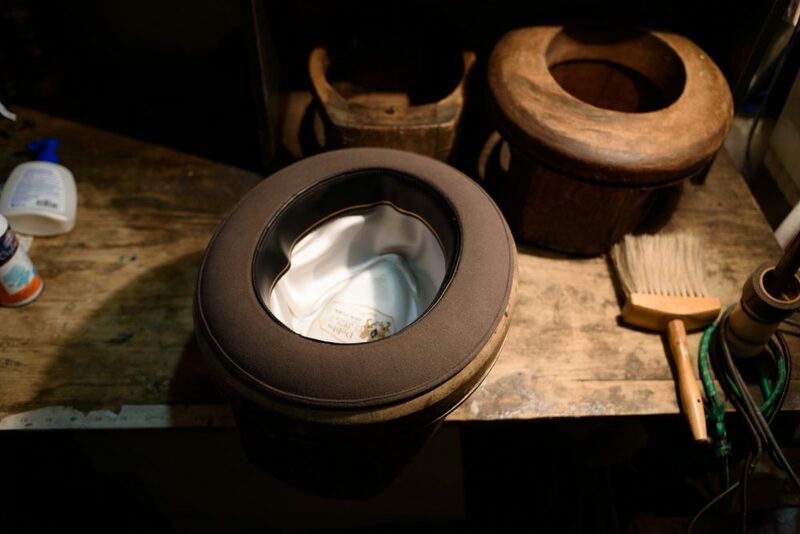 To shape the brim, the hatter turns the hat upside down, drops it into a circular wooden block that looks like a toilet seat, resting the brim on the top edge. 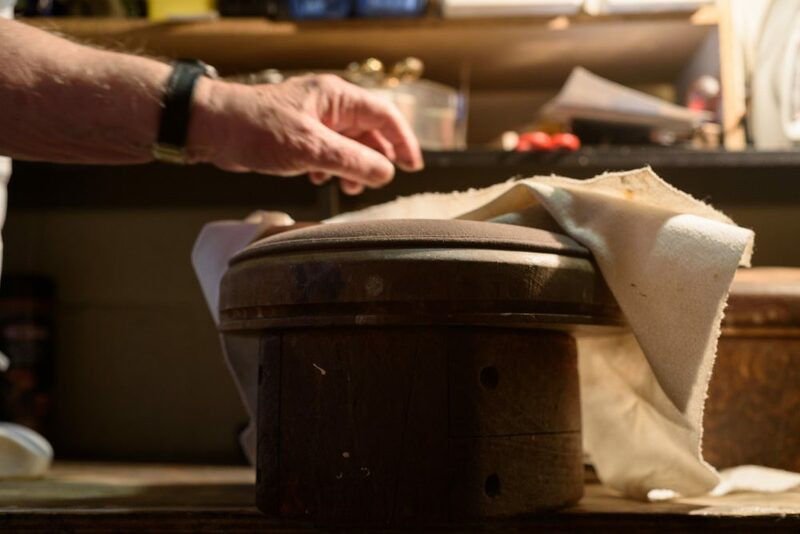 The hatter rolls the felt brim over the edge of the block, covers it with a damp cloth that is tied down with a cord, stretches the cloth tight, and steams and irons the covered brim until stiff. In those days, D.C. was segregated in more than one manner, Corvelli says. Germans lived in enclaves, as did Italians and Jews. African American were the most segregated, yet black men were crucial to the hat business, especially when hats started to disappear from the white mainstream. Corvelli’s wife passed away about four years ago, and his children are not interested in inheriting his business, which goes by American Hatters. 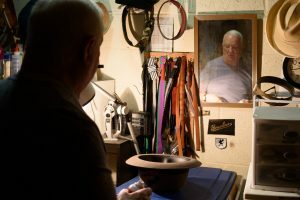 He’s mentored aspiring hatters and had a partner or two over the years, but one relationship that stands out better than most is with a friend in Virginia who shares a complementary interest in hats. 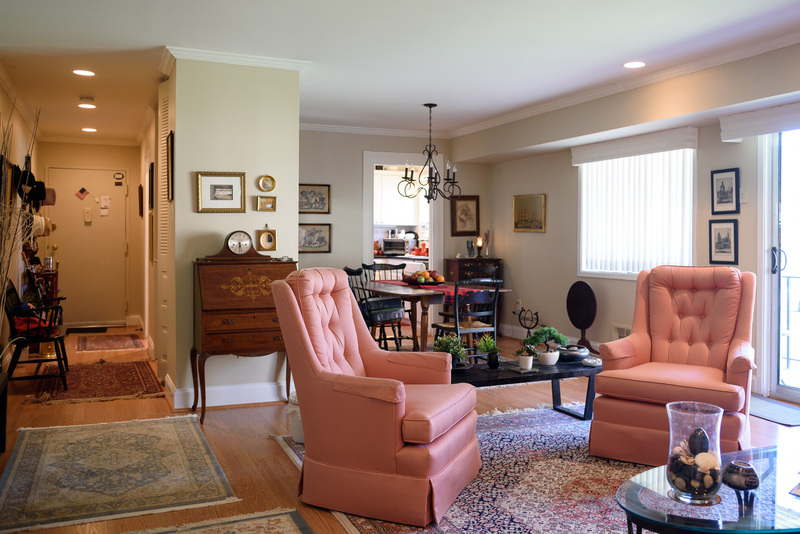 Many years ago, Corvelli had a customer named Ray, who liked wearing hats and would bring them up to Bethesda to Corvelli’s home studio. (Ray asked The Dig to withhold his last name for privacy purposes.) “He was charging me $48 to clean and block a hat, and I said ‘You gotta teach me some of this,’ because I got limited income,” Ray says. Ray would come up to Corvelli’s apartment on Fridays and the master hatter would show him the tricks of the trade. Then they they’d go to lunch. “That’s all it cost me,” says Ray, who would always pay. 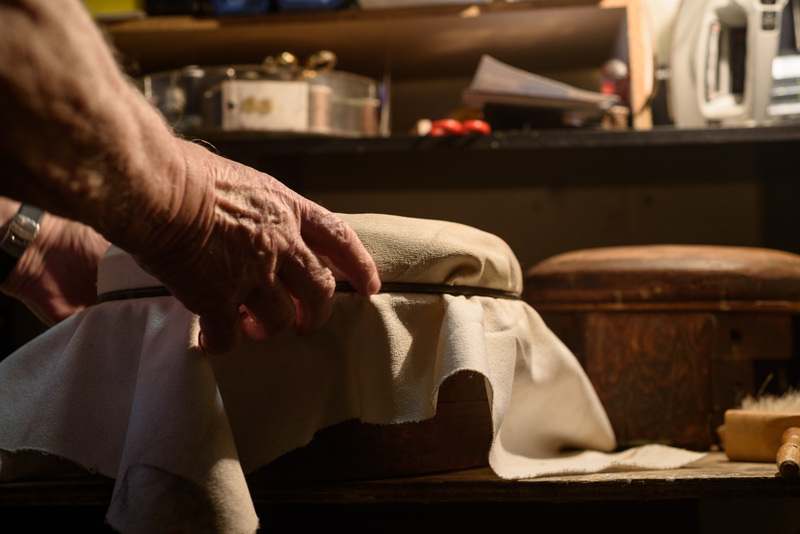 In time, Ray started tending to his own hats, but he was more interested in the tools and devices of the trade, which fit nicely with Corvelli’s craft. It didn’t take Ray long to notice that Corvelli was working with implements not just from another era but another century. 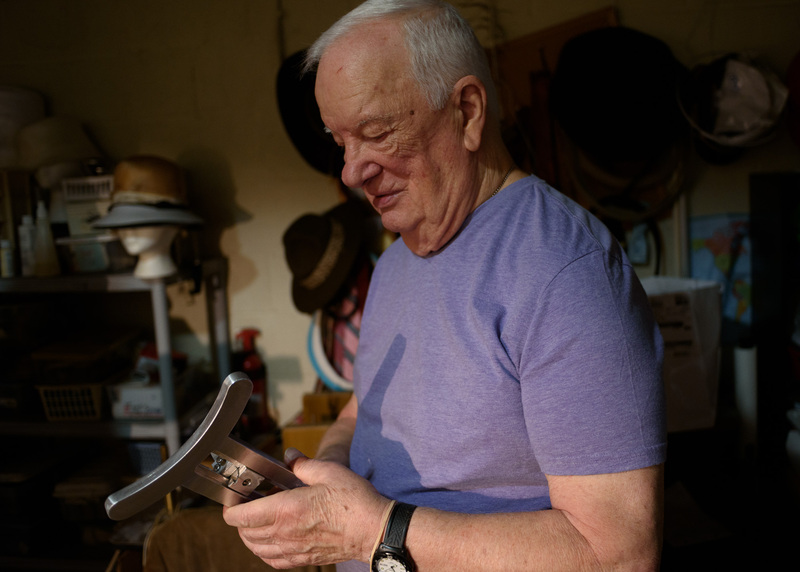 “You don’t need great tools, but you need everything tightened down,” Ray says vaguely. So what happens to these remnants of the 20th century that fill this basement work space—and Corvelli’s life—when he passes away? He says he has willed his hat blocks to a fellow hatter in Florida named Tony Lippi who sends him customers who reside closer to the District. Assuming he survives Corvelli, Ray most certainly will want to be the beneficiary of tools he has repaired and devices he has fashioned, such as the brim cutter. He’s not getting it back anytime soon, that’s for sure. 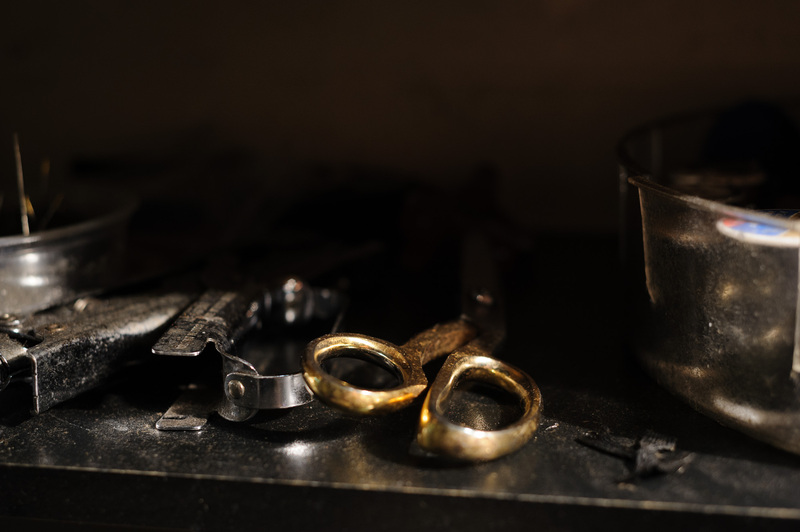 “This is the love of my life,” says Corvelli, clutching the custom-made tool. So for the time being, it’s business as usual. The coming of spring means customers will be bringing in their winter hats to be cleaned. 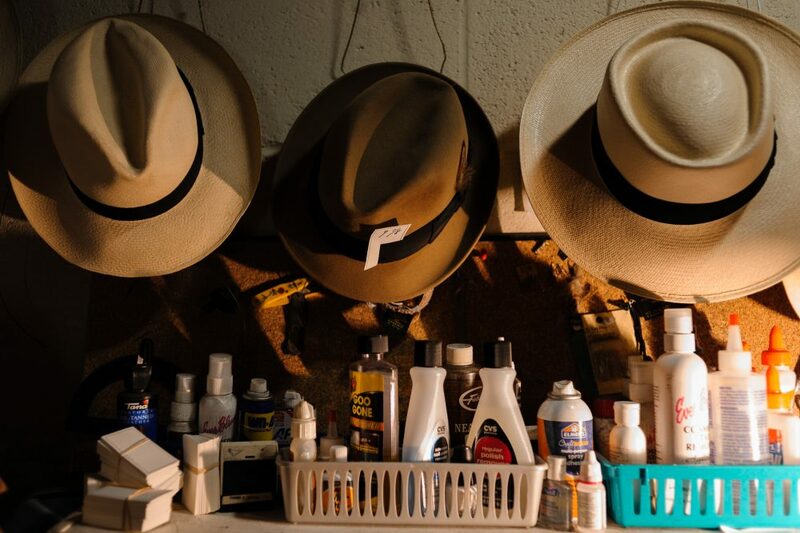 Panama hats in need of repair and blocking will be prepped for the summer. And a tradition will remain alive.